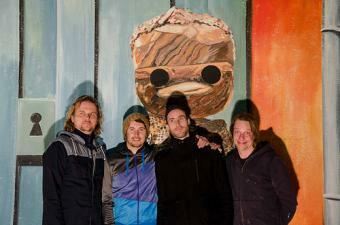 Brückenbauer is an indiepop-band residing in Joure, Fryslan, The Netherlands. The band specialises in writing and playing catchy popsongs with jazzy, melodic hooks, economic arrangements, a dynamic rhythm-section and powerhouse vocals. Doing more with less is the bands' general motto. Songs are relatively short and to the point, instantly hummable and very danceable. At the end of April 2014 the band will record new songs with producer Ken Stringfellow.